Comes in a sleek black gift box packed with retail tissue paper. So it's ready for gifting! 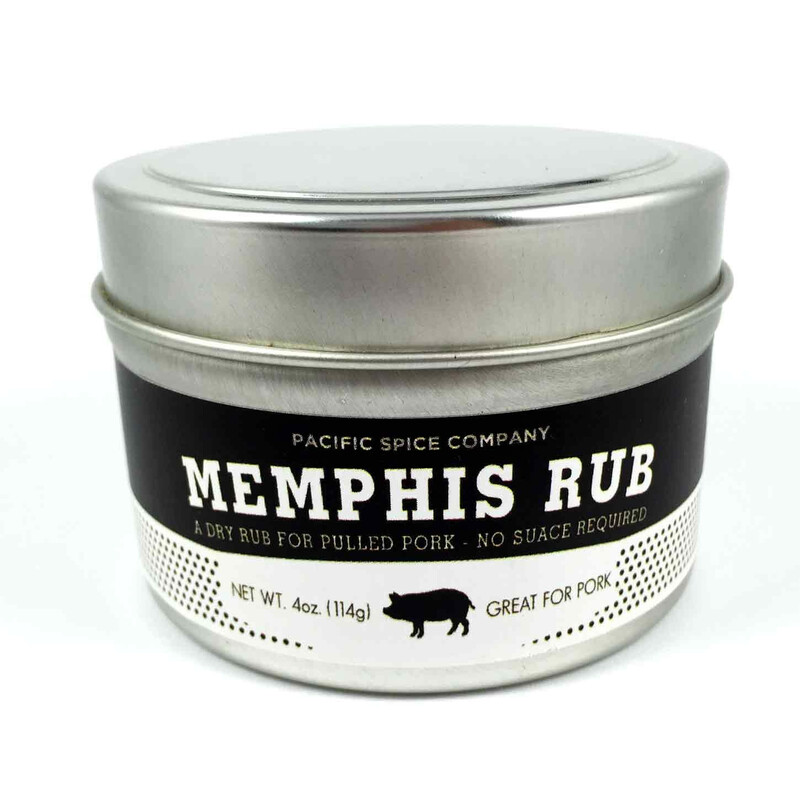 Memphis equals pulled pork and dripping pulled pork sandwiches in the minds of most BBQ lovers. 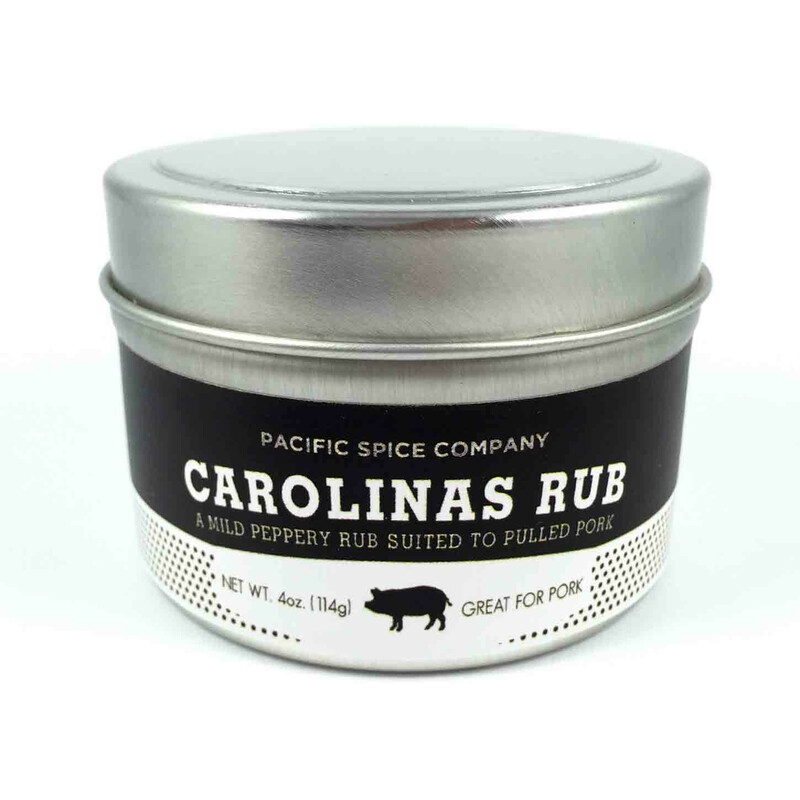 This rub is perfect for slow cooking your own pork, whether that's in a crock pot or out back in the smoker. This spice includes salt, sugar, dill, red pepper flakes, paprika, and toasted garlic and onion granules. Caribbean sugar plantations are the historic home of rum. Sugar cane was likely first fermented in island distilleries, home also to molasses-basted jerk chicken, pork and all around good eat'n. 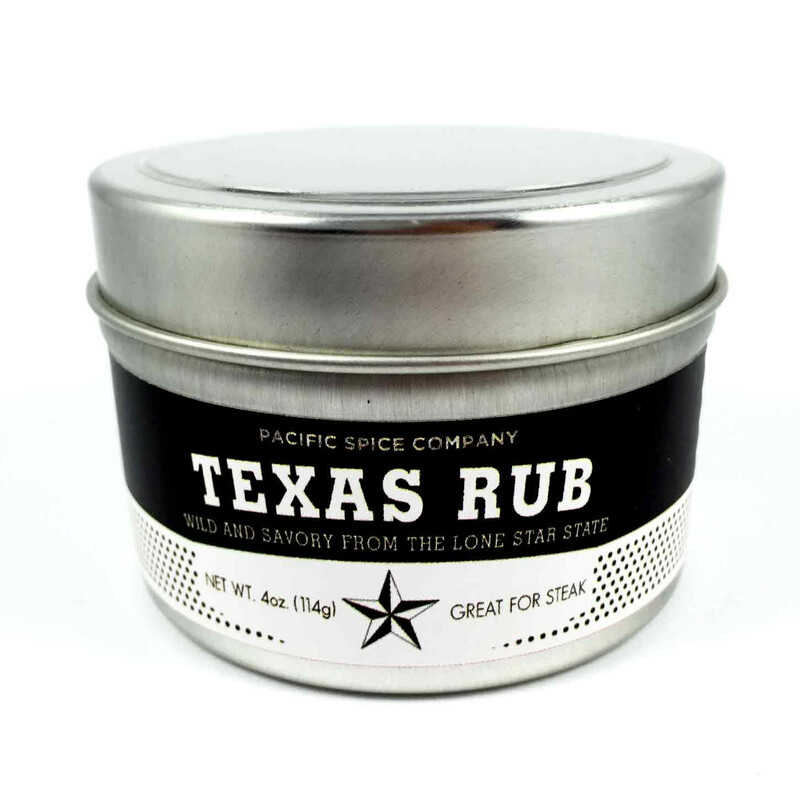 Our Rum Inspired Rub pairs well with spicy-sweet grilled and roasted meats. 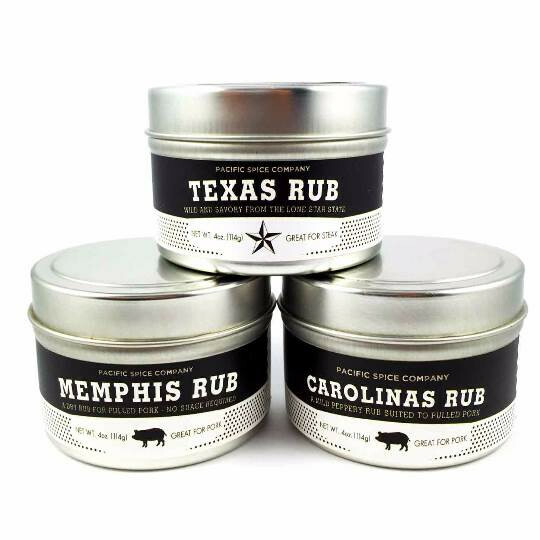 Rub on chicken, pork and fish. This spice includes brown sugar, kosher salt, sweet Hungarian paprika, cinnamon, nutmeg, allspice, molasses, and onion and garlic flakes.